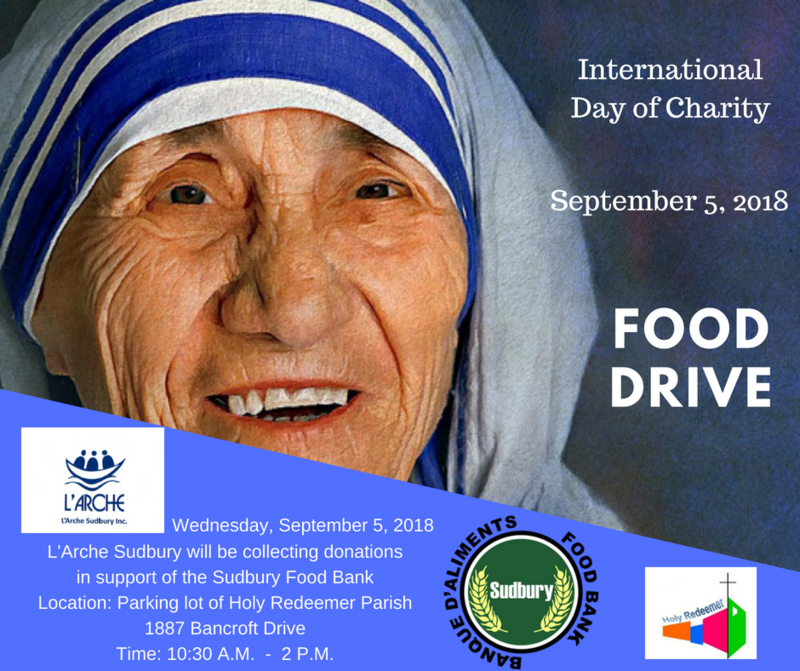 L’Arche Sudbury will be hosting a food drive Wednesday, September 5th, 2018 as a part of the International Day of Charity. They will be in the parking lot of Holy Redeemer Church (1887 Bancroft Drive) from 10:30am to 2:00pm. All in support of the Sudbury Food Bank.